The Hillsborough inquests jury were told of the suggestion that “significant” changes were made to “important” police statements after the disaster. 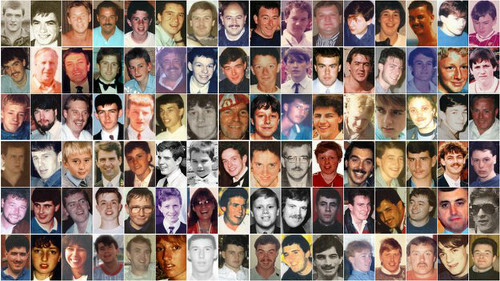 Coroner Sir John Goldring continued his summing up of the case as the inquests into the 96 deaths resumed after a week’s break this morning. He reminded the jury of the police evidence gathering which took place after the disaster on April 15, 1989, and of amendments to officers’ statements - some of which were made on the advice of force solicitors Hammond Suddards. The coroner told the jury: “The documents we have reveal that Hammond Suddards reviewed the written accounts of 416 officers. “They commented on 158. They did not comment on 258. “As I told you, South Yorkshire Police vetted some accounts without reference to the lawyers. “There were over 600 such accounts which were sent on to West Midlands Police. He said less than a quarter of police statements were amended and said, while some amendments were significant, others made uncontroversial changes to spelling and grammar. Sir John said: “It will be for you to decide how much assistance those figures give you. 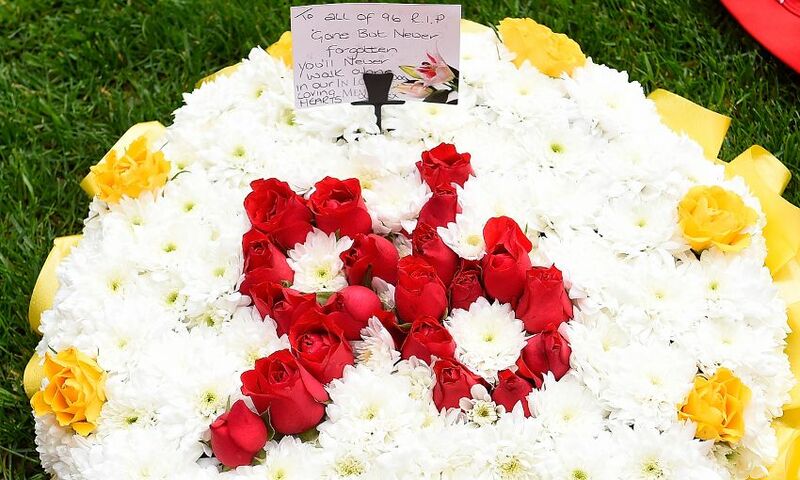 He recapped the evidence of retired chief superintendent Donald Denton, who was in charge of vetting and amending police officers’ statements ahead of the Taylor Inquiry into the disaster. Summing up his evidence, Sir John said: “He said he would be the first to admit that there were occasions where alterations were made which, on reflection, were wrong. “They did not have the benefit of all the hindsight, he said, that we have. The coroner also reminded the jury of the evidence of former inspector Clive Davis, who had shared an office with then chief inspector Norman Bettison, who went on to become chief constable of Merseyside Police. Mr Davis said on the Monday after the disaster Mr Bettison said he wanted him to go to a briefing, led by Chief Superintendent Terry Wain, about the force’s response to the disaster. He told the inquests: “I remember him saying he had been asked by the chief constable to put a team together. “His words were, and I can almost remember these verbatim, that, we are going to put the blame for this disaster where it belongs, on the drunken, ticketless Liverpool fans. A police report intended for the Taylor Inquiry into the Hillsborough disaster described fans as “animals” but did not include any criticisms of senior officers, the inquests heard. As he continued his summing up for a 23rd day, Sir John Goldring reminded the jury of a report compiled by a team led by Chief Superintendent Terry Wain, which included then chief inspector Norman Bettison. The Wain report was intended as a proof of evidence from South Yorkshire Police to the inquiry led by Lord Justice Taylor following the tragedy on April 15, 1989. Sir John told the court: “Thirty one contained direct evidence from officers of having witnessed the consumption of alcohol in the background to events. “Twenty nine other statements referred to the effects of alcohol on the supporters or made other observations about the involvement of alcohol leading up to the disaster. The original report, before it was heavily edited by lawyers ahead of submission to Lord Justice Taylor, included sections on fans without tickets, fans trying to bribe turnstile operators, alcohol being a problem and unruly behaviour among fans. It also included descriptions of Liverpool FC fans “behaving like animals” and the smell of alcohol. The coroner said: “Mr Wain, when asked about those topics, pointed out that they reflected the accounts of some of the officers in some cases. He added: “Mr Wain agreed that the observations critical of senior officers didn’t find their way into the report. “He said he thought the omission of critical references to senior officers was not a conscious omission. In a section titled “observations”, the original version of the report said senior officers were “unexpectedly overwhelmed by several thousand spectators who had converged on Leppings Lane within a few minutes of the designated time for kick-off, many of whom being the worse for drink embarked upon a determined course of action, the aim of which was to enter Hillsborough football stadium at all costs, irrespective of any danger to property or, more importantly, the lives and safety of others”. The coroner said: “Mr Wain accepted that this part of the report was at least partially intended as a defence of South Yorkshire Police. He added: “He was adamant that there was not a plan to blame the fans. “He said he did no more than reflect what was in the statements. Mr Wain, who said he produced the report honestly and in good faith, was asked during his evidence about the role of Mr Bettison, who went on to be chief constable of Merseyside Police. Sir John said: “Mr Wain said that Mr Bettison had an important role assisting the work his team were doing. “He agreed he was a functionary at the coalface, but a functionary nevertheless. The summing up of the police evidence gathering is due to continue tomorrow.